Depart Christchurch and travel south across the Canterbury Plains and inland towards the Southern Alps to reach Lake Tekapo an amazing turquoise blue lake. Tekapo presents many world class attractions from the famous Church of the Good Shepherd, to the luxurious spa complex Tekapo Springs and of course Mt John Observatory. 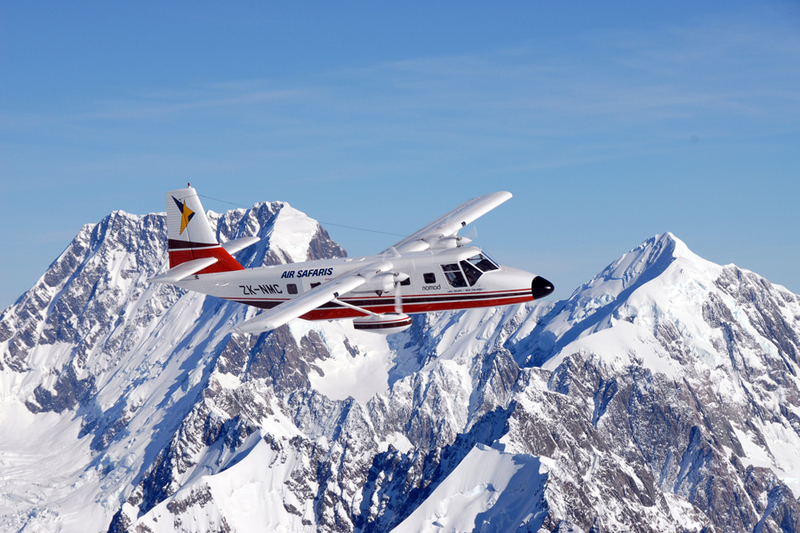 In the afternoon enjoy a spectacular scenic flightseeing tour of Mount Cook and Westland World Heritage National Parks. Explore the alpine wonderland of New Zealand’s highest mountains, mighty alpine glaciers and lush coastal rain forests. View turquoise glacial lakes, golden tussock lands & braided rivers of the Mackenzie basin plus remote High Country Sheep Stations. Highlights include Mount Cook, Tasman Glacier, Franz Josef Glacier & Fox Glacier! Every passenger has a window seat, all aircraft have wings-above for optimum viewing. Travel through the dramatic Lindis Pass, which links the Mackenzie Basin to Central Otago. 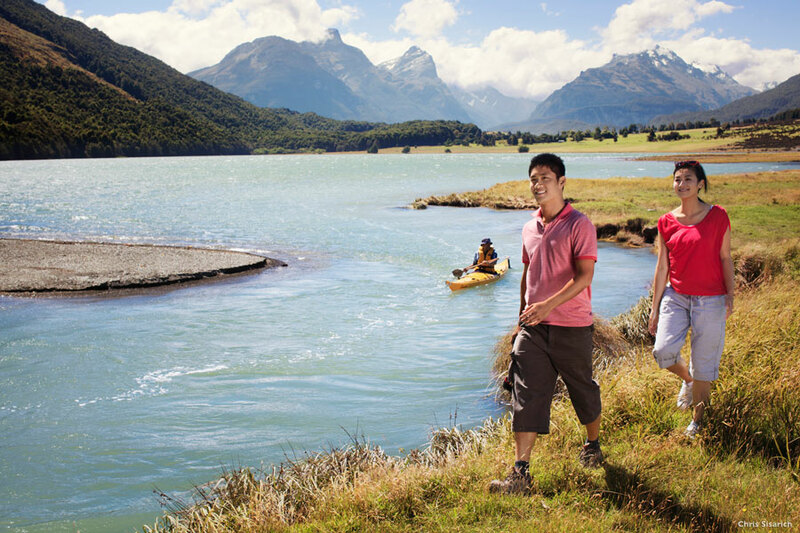 Arrive in Queenstown, New Zealand’s adventure capital of the world. In the evening relive the elegance of turn-of-the-century travel with a cruise aboard the vintage steamship TSS Earnslaw, the only coal fired passenger carrying vessel still operating in the southern hemisphere. 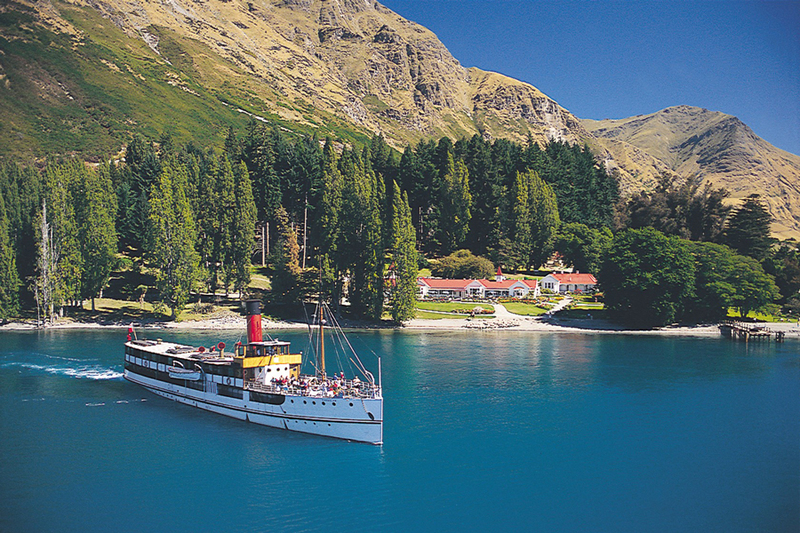 Step aboard – watch the stokers fueling the fireboxes and hear the hiss of the steam engines working as the TSS Earnslaw takes you on a nostalgic cruise over beautiful Lake Wakatipu to Walter Peak High Country Farm where you will enjoy a stunning four course meal. An entertaining after dinner farm show provides a glimpse into high country farming life. Then on your return cruise, relax with a drink from the bar or join a fun sing-along with the ship’s pianist. Doubtful Sound is the next step up from Milford Sound! 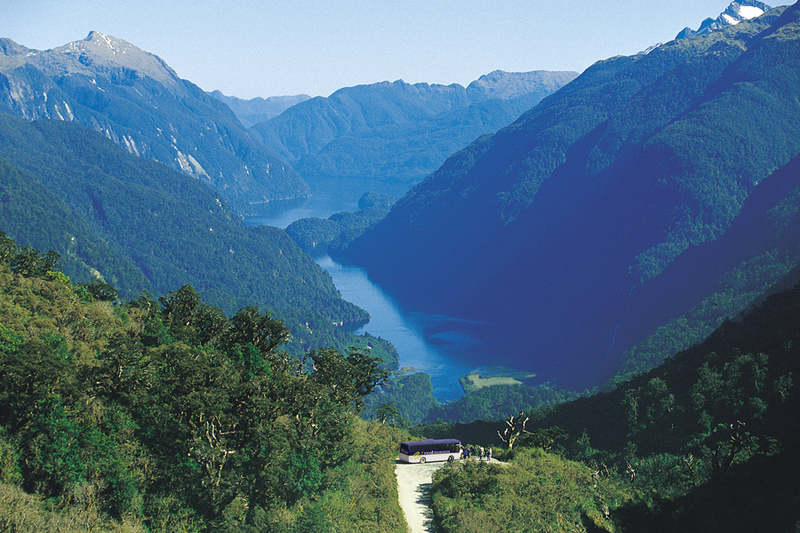 Enjoy a scenic coach journey through heartland New Zealand to reach Manapouri. 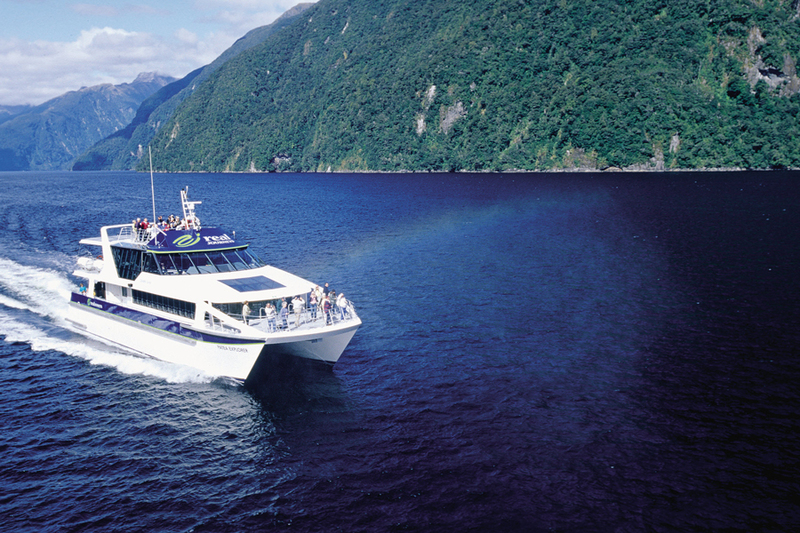 In Manapouri board your luxury catamaran and cruise across picturesque Lake Manapouri followed by a trip across New Zealand’s most expensive road Wilmot Pass, pausing along the way to experience the dense Fiordland rainforest and view Doubtful Sound glistening far below. 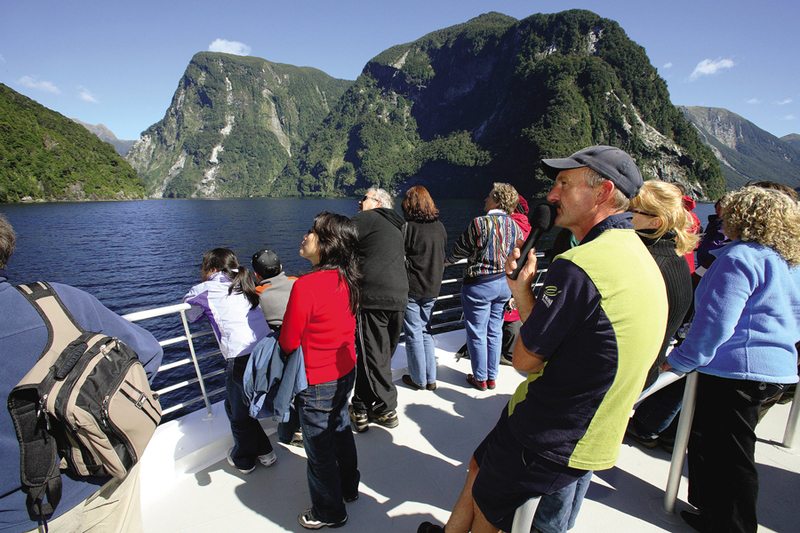 In Doubtful Sound, you will board another catamaran for a three hour cruise through this pristine fiord. During the cruise your knowledgeable and friendly nature guides will share with you their passion for the region through their commentary. They will answer questions, point out landmarks and provide you with information about the varied wildlife you may encounter like dolphins, fur seals and the rare Fiordland crested penguin. After your cruise relax while your coach drives through stunning scenery delivering you back to your Queenstown accommodation. Explore Queenstown today, option to add-on a must do Queenstown activity to really make the most of it, our top picks are Jet Boating, Scenic Helicopter Flights, Backcountry Safaris and Wine Tours. Drive over the beautiful Crown Range, New Zealand’s highest State Highway and admire the vistas from fantastic viewing points. 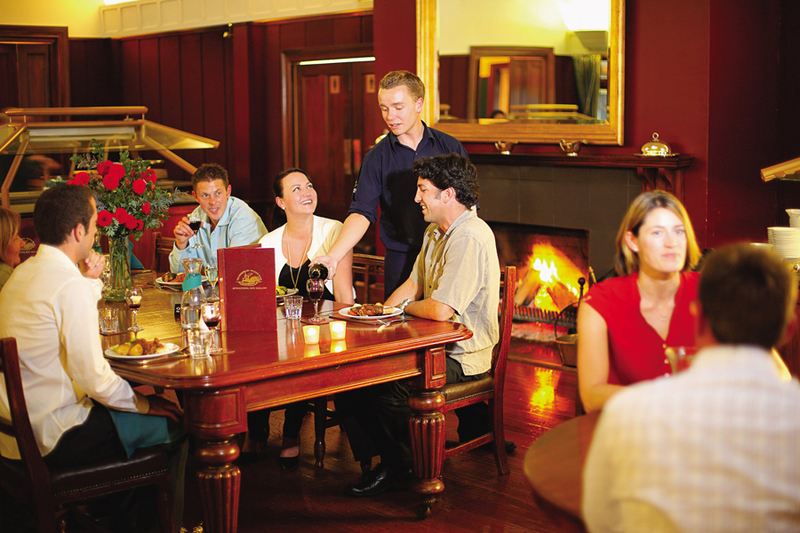 Be sure to stop at the historic Cardrona Hotel for a refreshment before your arrival into Wanaka boasting panoramic views, a relaxed atmosphere and a myriad of walking tracks. Carry on up the West Coast to reach Franz Josef – there are many short walks / viewing points to take in along the Haast Pass Highway to break the journey. You may also wish to visit Fox Glacier, which is signposted and located just south of Fox Glacier township. You can take the 2.6 km return walk (approx one hour) to access an excellent viewing point of Fox Glacier. Continue through stunning thick rainforest to reach Franz Josef. Option to add-on a highly recommended scenic helicopter flight to view and land on Franz Josef Glacier. Enjoy your journey along the West Coast, stopping at point of interest such as the Whataroa River, before continuing on to Hokitika, famous for its arts and crafts. Watch a masterpiece being crafted from gold, molten glass, paua or bone, or carve your own creation from wood or jade “pounamu.” Take in Hokitika’s natural beauty, enjoy its expansive beach or one of the many walking and mountain bike tracks. 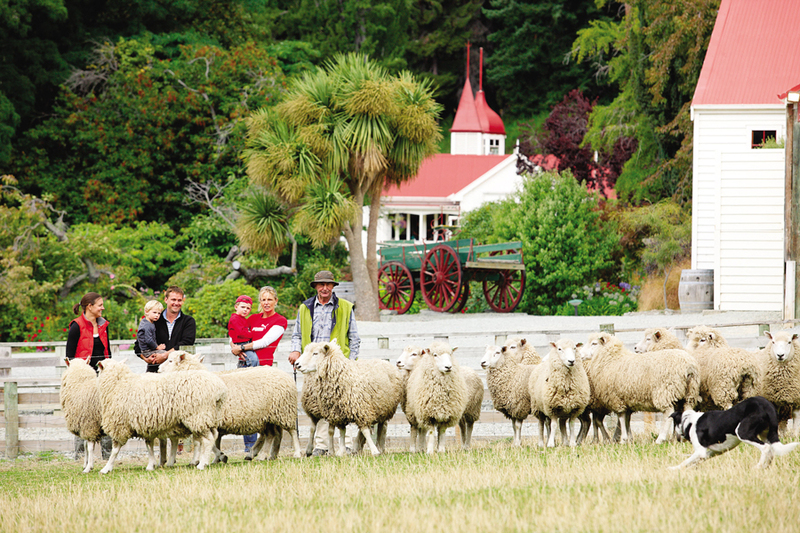 Journey towards Nelson a picturesque city offering beaches, wineries and boutique breweries. If you like food, wine and beer you will love Nelson! Nelson also enjoys New Zealand’s highest sunshine hours and has a creative population with many artists, so while there you can browse through galleries and be sure to visit the fantastic craft market on every Saturday. It is time to explore the Abel Tasman, an area renowned for its golden beaches, sculptured granite cliffs, unmodified estuaries and the world-famous Abel Tasman Coast Track. 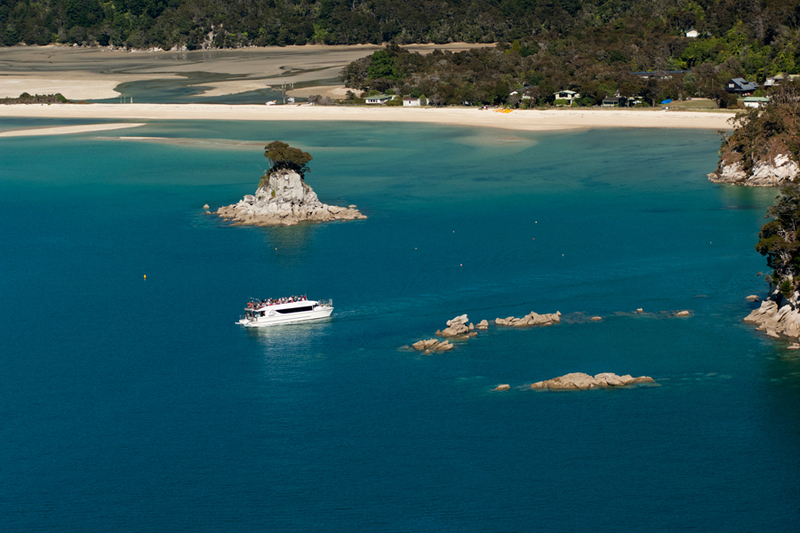 Enjoy a boat cruise into the Abel Tasman National Park where you can relax on the hot golden sand, enjoy a day walk or simply enjoy a return boat cruise without having to leave the boat. 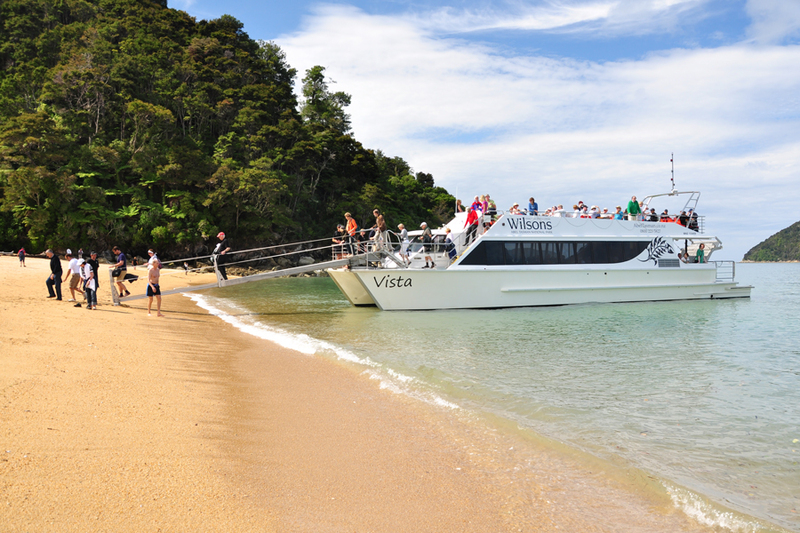 This trip allows you to explore sections of the Abel Tasman Coast Track; the boat will stop at scenic points along the way where you can get off and walk a section of the track, the boat will then collect you later in the day. Or you may just want to pack a picnic lunch, beach towels and laze on the beach for the day. Travel on to Hanmer Springs, a year round holiday destination offering a variety of outdoor activities, great cafes and of course the Hanmer Springs Thermal Pools & Spa. As a natural spa destination, visitors have been travelling to bathe in the rejuvenating hot mineral pools for over 120 years! Relax in open-air thermal public and private pools and de-stress with spa therapies. 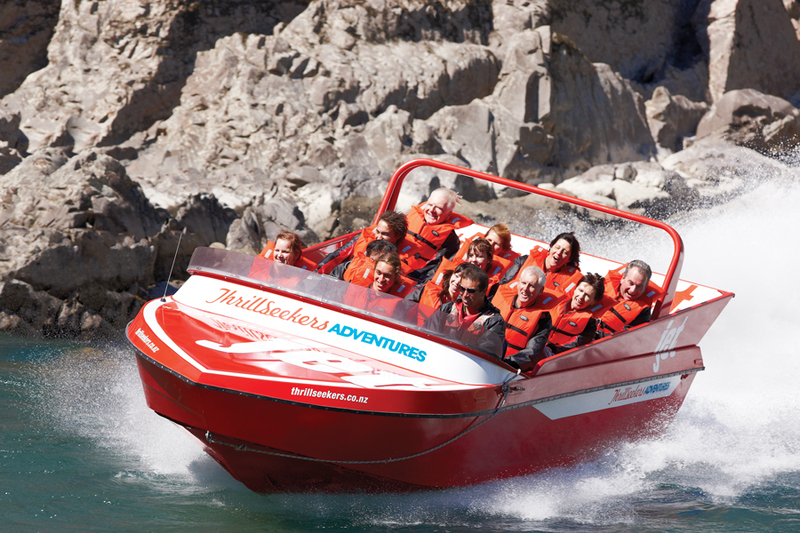 Today relax in Hanmer Springs plus experience the adrenaline rush of going 80km per hour, skimming the river below with Thrillseekers Jet! Cut corners as turquoise snow melt churns out behind you and experience 360° spins while you travel up the stunning Waiau Gorge. Travel to Christchurch at your leisure. There are an array of must do visitor attractions on offer in Christchurch City to top your holiday off. Soar above the suburbs on the Christchurch Gondola, explore the city on the Christchurch Tram, Punt on the Avon River, experience Maori Culture and view a Kiwi Bird. It’s time to wave goodbye taking photos and memories with you. 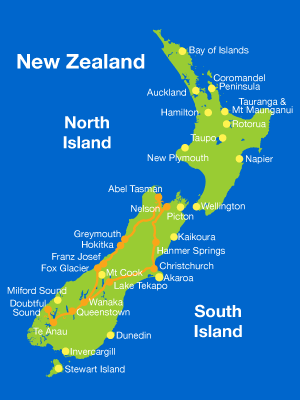 Drop off your rental car at Christchurch Airport and depart Christchurch.